item not arrive, seller ignore my inquiry, no lazada contact number to reach avoid this place. I have purchased an item from this seller, i didn't received any further notification after failed delivery attempt. I didn't any notification note from the shipping provider for second delivery arrangement. Afterward, i have contacted the seller to follow up on the delivery status. The seller has only replied me that will arrange for refund without any apologies.No alternative solution are provided by the seller. Please do not purchase this seller if you expect for responsible and reliable seller. 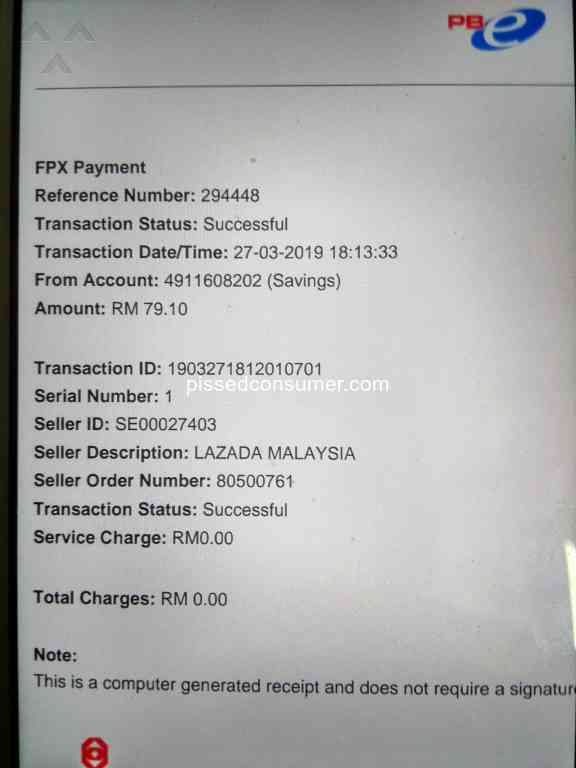 Dear Lazada Team, Please take note that I will consider to file a complaint to NCCC if the refund are not perform by 16th April 2019. Thank you. I have a few items that was already in JB HUB (as stated in LAZADA apps) but i will not be in JB for awhile so i think it's better if i just self collect my items when i come back here. Can LAZADA contact me so i can send you a few details regarding my items? Thanks. As per above. I have not received my good, while vendor claimed they have delivered. Vendor asked me to contact lazada customer care; nothing works so far. Can you direct me? Please?